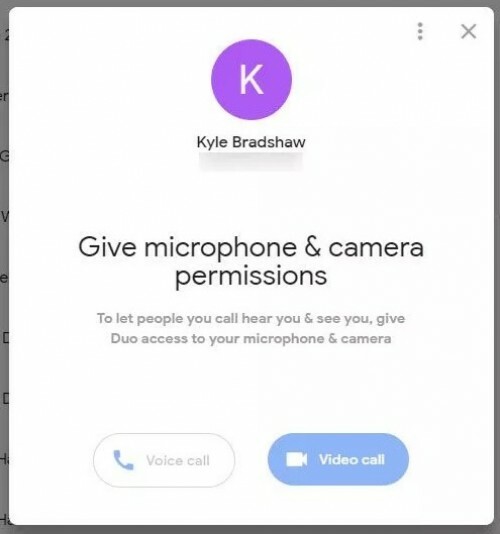 A long awaited feature for Google Duo is now here which entails you can initiate video calls on your desktop’s web browser. Best of all, the web browser client for Google Duo also supports notifications so you’ll get an alert of an incoming call. According to 9to5Google, the change is still rolling out on the server side, so to see if it works for you, head to duo.google.com in Chrome, FireFox, or Safari while logged into your Google account. If active, you should see the interface right away. If not, you’ll probably keep seeing the regular Duo landing page. If you are able to access the web interface for Duo, leave us a comment below. As per 9to5Google, it seems to work for anyone using Chrome and logged into a non-GApps Google account, however, this isn’t the case for me.